Cisco and CDW recently introduced the Managed Collaboration Anywhere (MCA) platform at Enterprise Connect. This CDW product delivers a thoughtful calling and meeting solution as well as a migration path to the cloud through a fully partner-managed model, leveraging Cisco’s Collaboration Flex® Plan, which enables enterprises to use Cisco’s industry-leading collaboration tools under a single subscription. MCA enables business customers with a requirement to keep an on-premises collaboration platform to take advantage of Cisco’s valuable Flex Plan. It also provides options for companies with a hosted or hybrid requirement (on premises for office and cloud for remote workers). With MCA, companies’ on-premises, mobile and remote workforce enjoy the same quality communications and collaboration experience. 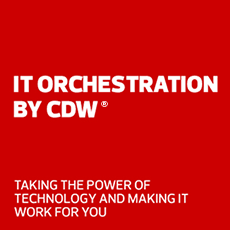 CDW enhances this flexibility with managed services, including software upgrades; patching; break/fix; moves, additions, changes and deletions (MACD); and certificate management. “We continue to build on our rich heritage of managed services by working closely with Cisco’s market-leading collaboration platform. We give customers the flexibility to deploy mission-critical MCA services on premises or via colocation options, with a single Flex licensing model. Our customers have asked, and we have answered with a global solution to meet our customers’ needs regardless of location or platform,” said Nathan Coutinho, director of digital workspace solutions at CDW. CDW’s MCA solution is a secure and highly capable communications and collaboration platform. CDW fully manages the platform and overall solution for the customer, which allows for a mix and match of deployment models, including pure cloud, on premises, hosted and hybrid. Many enterprises migrate to the cloud through a hybrid model, and Flex licensing enables this transformation at the company’s speed. Customers benefit from a scalable deployment that accounts for organization growth, increased user adoption or other events, such as merger and acquisition activity. Managed Collaboration Anywhere is available to all organizations of 200 people or more, with hosted, on-premises and hybrid solutions available in North America, and fully managed on-premises models available worldwide. For more information, visit CDW.com/WorkIntuitive. Cisco’s Collaboration Flex® is registered trademark of Cisco Systems, Inc. and/or its affiliates in the United States and certain other countries. Photo courtesy of Cisco Systems, Inc. Unauthorized use not permitted.